TruStone™ is a Photofusion process where natural stone or other images are heat transferred to your shower surface. This technology allows for a wide range of designs limited only to your imagination. It's a great way to add a little creativity to your kid's bathroom or the real look of stone to the master bathroom with greater flexibility and less cost than natural stone. 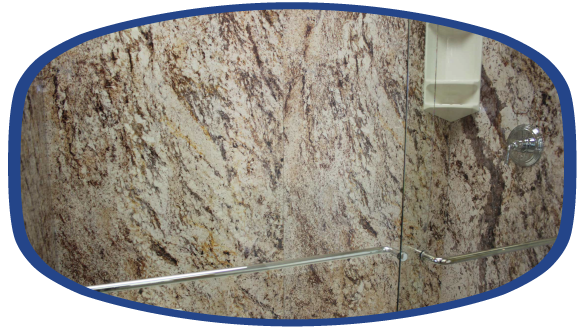 To see more sample showers please go to our photo gallery or visit our showroom and talk with our design consultant.